Kakashi and Ino were sent as extra precaution for the protection of the fire Daimyo. They were all inside the castle, including the 31 Samurais, including one general hand picked by Mifune himself. They were all gathered around a table where the General placed a map of the area and began painting black dots to represent where he and his guards will be placed. Then the General told Kakashi how things would proceed during the greetings process and where his guards would be. Kakashi nodded in agreement with everything and was already thinking of a plan at the moment. "Here's what we're going to do" Kakashi began. "The Daimyo is going to practice his speech while I copy it with my sharingan. I'll create a shadow clone who will disguise himself as the Daimyo himself and the shadow clone will give the speech. I hope you can understand this is for your own protection" Kakashi said looking over to the Fire Daimyo. "Yes yes, of course" The Daimyo said in his a little squeaky voice. "However" Kakashi began again, "the Daimyo has the right to be out there. After all it's his speech. So we're going to have him replace one of your samurais. Therefore, he will need that samurai's armor. He will be one of the samurai's standing behind my shadow clone as the speech is given. But this is very risky in itself, therefore I want you along side with him" Kakashi said looking over to the General, who nodded in Agreement. But I need one of my own near the Daimyo as well" Kakashi said looking over to Ino. Pointing to the map, Kakashi says"you will replace the guard standing on the other side of the Daimyo. You'll have a good view of anything going on and if something does happen, with your Yamanaka jutsus you'll be able to take care of it. Knowing the side effects of your jutsus, I ask permission that the two guards beside Ino accompany her at all times never leaving her side and take care of her body when needed. The General nodded and assigned the two guards that would be up on stage and accompanying Ino. 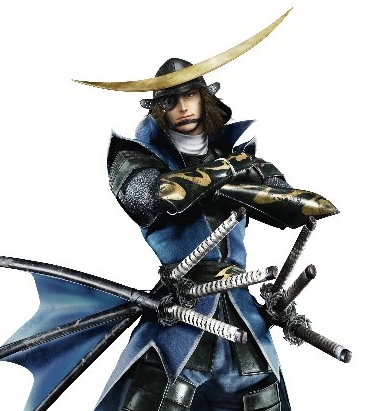 "I presume your Samurai are sufficient in hand to hand combat, therefore the ones who are giving up their armor will sneak into the crowd as they begin making their way in and act as civilians. If anything goes wrong, we'll have people able to react right away. But they will be operating without their com. devices for it may blow their cover." For extra defense purposes" Kakashi began, going back to the map and picking up the paint brush, he began drawing six rectangles on the map where the civilians would be. 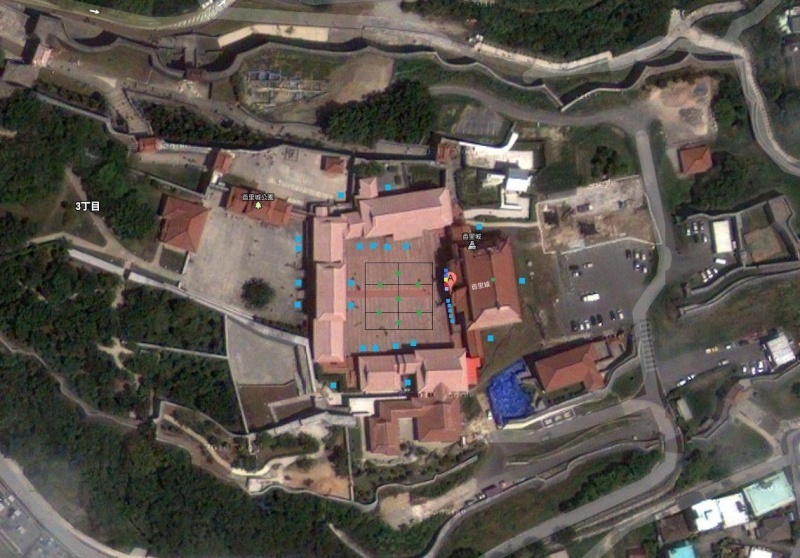 "We're going to organize the civilians into six different sections. The black lines represent the spaces between each section. The green dots represent my Ninken Dogs. A total of seven will be within in crowd. With their heightened senses and sense of smell, they will be able to pick up anything out of the ordinary. But they will be stationary, if they begin moving around the civilians may get nervous. Pakkun will be accompanying you Ino, he'll be hiding under your shoulder plate and letting you know if anything goes wrong. I'll be on the roof watching from above, and with my nose I may be able to pick something up as well. Does everyone understand?" After they all agreed, Kakashi summoned his eight dogs. "One last thing, before anyone communicates on the com. device, they must start with "Star", for security purposes. Now, I'm going to take the Daimyo aside and begin preparations. Ino, you get the Daimyo's armor set as well as yours ready before we're done. General, please inform my dogs on the situation, their tasks and positioning. Everyone, get acquainted with one another." With that, Kakashi took the Daimyo aside and began copying the speech with his sharingan. "Roger!" Ino replied when Kakashi explained her task. After his strategy speech was over, Ino introduced herself to the 2 guards that would be accompanying her and explained her technique to them. She then had them lead her to the armory room so she could get dressed as a samurai guard. She completed the outfit with 2 fat ninja medical pouches on the back of her belt. 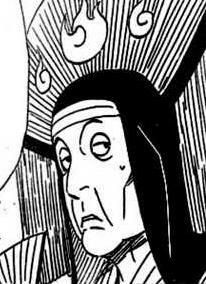 Re-entering the room where everyone else was, Ino noticed a small, fat, brown thing moving across the ground towards her. She looked down to see Pakun sitting by her feet looking up at her. The canine introduced himself and Ino replied, "Aren't you the cutest little thing! 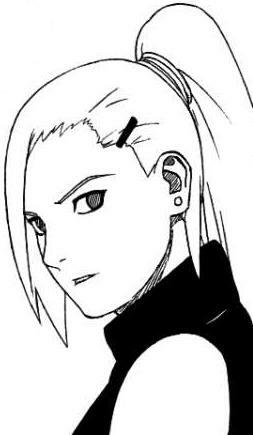 My name's Yamanaka Ino, nice to meet you!" With that, her squad was ready to roll out. Kakashi came back with the Daimyo placing his head guard back over his left eye. Looking over to the General, he gave Kakashi a nod while saying "Your Dogs have been briefed." Kakashi looked over to Ino who was all suited up and greeting Pakkun. "I'm Pakkun, nice to meet you" he would reply to Ino in a deep and gruff voice unexpected from such a small dog. With a small leap, Pakkun jumped onto the shoulder pad of Ino's armor for it was the only place for him to go. Shortly after a Samurai came around and gave the Daimyo his armor set. While the Daimyo got dressed, the two samurai's that were being replaced by Ino and the Daimyo got undressed. Kakashi took the com. device of one of them and handed it to the Daimyo. "You're technically a guard now, so we have to be in contact at all times." After everything was done, Kakashi created his shadow clone which then transformed into the Fire Daimyo. Kakashi nodded to the General letting him know he could proceed. "It's time to let the civilians out! Remember, the safety of the Daimyo is our number one priority!" All the guards gave a loud but quick yell of acknowledgement and waited at the door for the General to open it up.